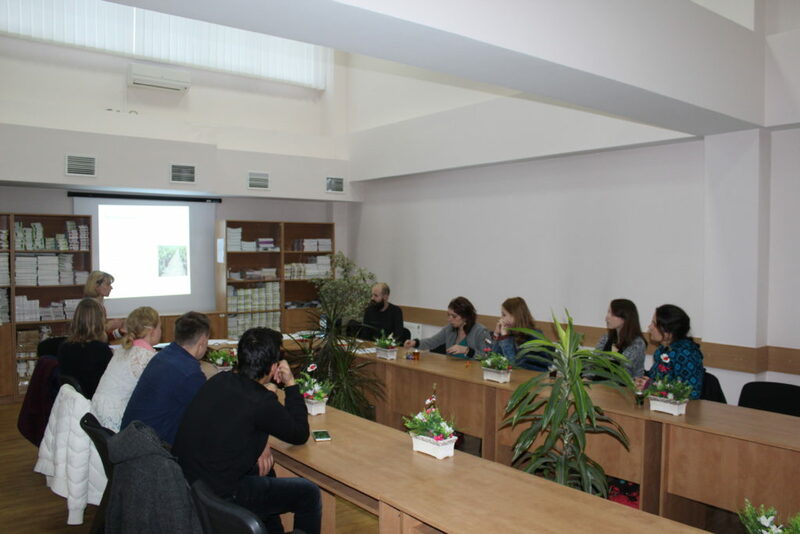 On 15th of November, the Regional social center «Renasterea» for people living with HIV together with ADVIT Europa Fara Frontiere organized a meeting for EVS volunteers to inform them about the HIV/AIDS prevention, causes and the importance of getting tested. 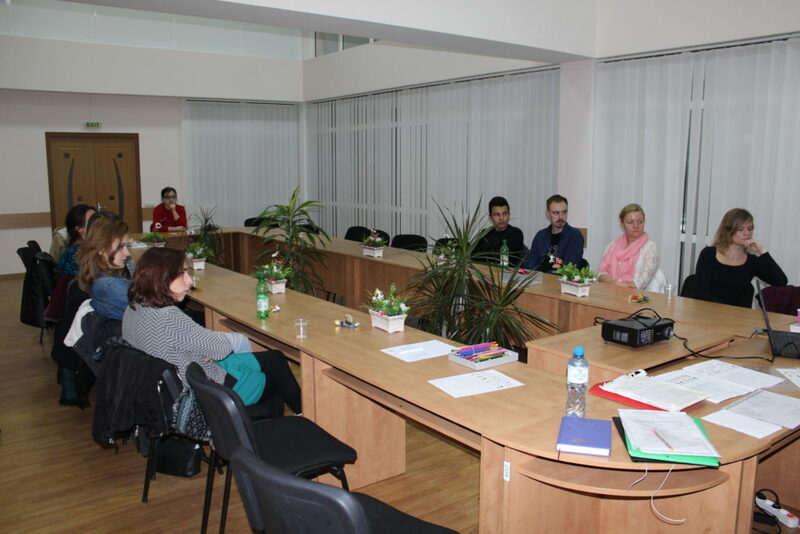 The meeting started with a presentation about the statistics of people with HIV/AIDS in Republic of Moldova. The statistic shows that in Moldova we have more than 10.000 persons infected with HIV/AIDS, 300 of them are children. Every year 300 persons die due to this disease. 58% of infected with this disease are men, 42% are women. The most alarming fact the volunteers found out, was that is estimated 18000 persons live with this disease, but only half of them are knowing their status. The organizers of the meeting mentioned that it is very important to get tested, as people with this disease, but who found out in the beginning and follow the treatment are living a normal life. The organizers presented few short videos with people who are living with this disease and that are not afraid to speak about it. They mentioned that it was difficult to accept the fact that they are infected, even more difficult was to tell about the disease to the family and friends. Some of them are living for a long time with disease, like 9, 14, 18 years. So as they all mentioned it is very important to accept the fact that you are infected and follow the treatment, this could change your life. Another important topic discussed with the volunteers, focused on the prevention of denigration of the people with HIV/AIDS. This is one of the problem of our society, that a lot of people cannot accept this disease and don’t understand that speaking, working or being friendly to an infected people do not expose you to this disease. The organizers spoked about the ways getting infected: sexual contact which is the most common way of transmission of the virus, exposure to infected blood and vertical transmission from mother to child. The fact that was very interesting for the volunteers was that it was considered that only drugs users and people from socially disadvantaged class can get infected, but no, everyone can get infected, so being informed is very important. An other discussed topic was that the infection does not spread through exposure to saliva, sputum, nasal secretions, sweat, urine, vomit or tears of an infected person unless these are contaminated by blood of the person. Mosquitoes or any other insects also cannot transmit HIV. The meeting ended with some questions from volunteers, who were interested about where they can get tested, some questions about the statistic and what regions of our country have a bigger rate of infected persons. 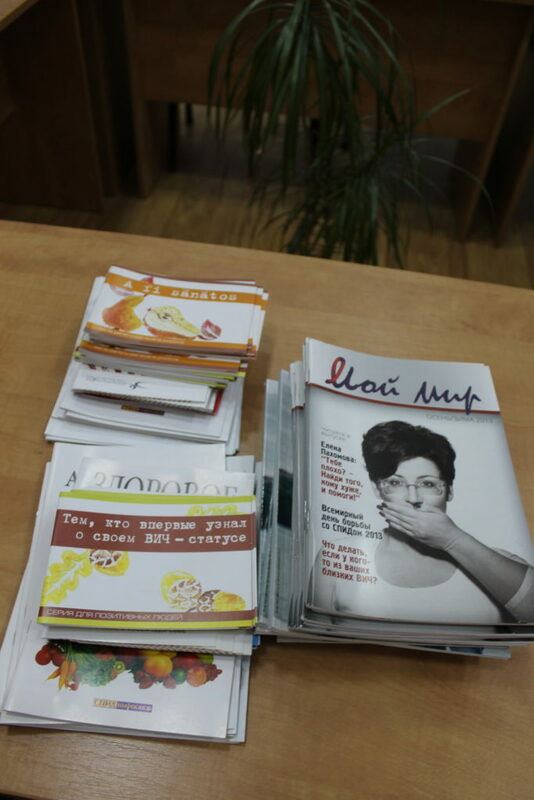 Also the volunteers got brochures with useful information about the topics discussed at the meeting.